I spent some time taking photos in the garden today and here are some of the results. 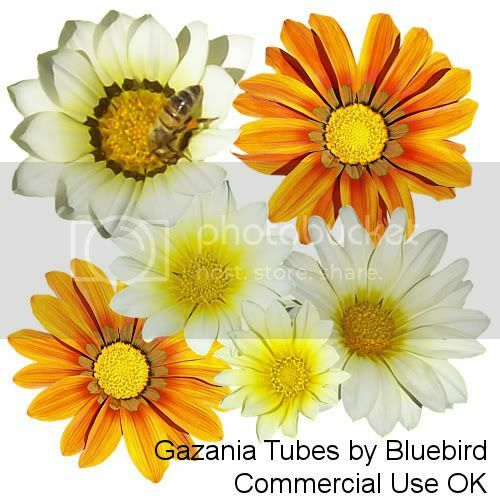 There are 5 desktops of gazania flowers that you can download directly from my DA Gallery. Just click on the one you like and then click download on the left hand side and it's yours lol. And now for the tubes - these are in png format and are COMMERCIAL USE OK. I do ask for a credit but realise that on some types of projects it is just not possible. It certainly is possible for a scrap kit even though I have already come across some that don't bother and to those people - thanks for nothing! Thank you! Your blog post will be advertised on the DigiFree Digital Scrapbooking Freebie search engine today (look for timestamp: 24 Aug [LA 01:30am, NY 03:30am, UK 08:30am, OZ 06:30pm] ). The flowers are beautiful! You take great photos! Thank you so much for this gift! Such beautiful flowers, thank you so much for sharing them! Would love to have them if possible! !Thank you so much,Your work is awesome!!! !